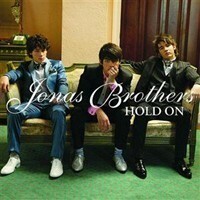 "Hold On" is a song by American pop band Jonas Brothers. The song was released as the band's first single from their self-titled second album in 2007. The iTunes music store named this single as #3 on their "Best of the Store" Playlist on August 7, 2007. 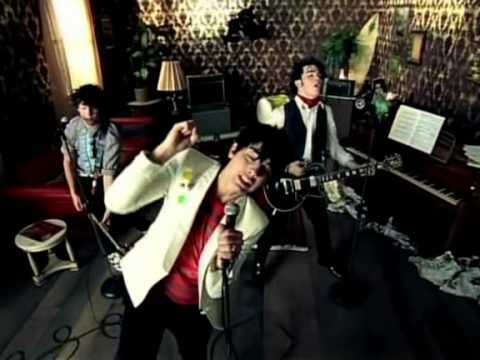 The music video starts with the band grabbing their instruments and playing them. There, Joe Jonas starts singing as they play instruments. Then while the second chorus is being sung the walls and the roof fly away leaving the band on a windy desert only with their instruments. They keep singing as the wind hits on their faces. The song ends as the wind stops. Their self-titled second album was released on August 7, 2007. It reached number five on the Billboard Hot 200 chart in its first week. Two singles with music videos were also released around this time — "Hold On" two weeks before, and "S.O.S." just after the release of the album.